So, as you might already know, Pangu has dropped iOS 9.3.3 jailbreak. Here we will try to answer some of the most frequently asked questions regarding this new jailbreak, issues that you might be facing, and potential fixes for those problems. Without any further delay, here’s everything you need to know about the latest Pangu jailbreak for iOS 9.3.2-9.2 running on iPhone, iPad or iPod touch devices. The latest release from Pangu is compatible with iOS 9.2, 9.2.1, 9.3, 9.3.1, 9.3.2, and 9.3.3 firmwares. Officially, it is currently only available natively for Windows and supports jailbreak on 64-bit devices, which includes iPhone 6s, 6s Plus, 6, 6 Plus, SE, 5s, iPad Air 2/1, iPad mini 4/3/2, iPad Pro (9.7 and 12.9-inch), and iPod touch 6th-gen. 32-bit devices like the iPhone 5, 5c, 4s, iPad 4/3/2, iPad mini 1 and iPod touch 5 are not supported. The latest Pangu jailbreak is also semi-untethered/tethered, which means you will need to get your device into jailbroken state every time you reboot (not respring) the device. Fortunately, doing this doesn’t require you to connect your device to computer as you can do this easily using the PP app on the device. It literally take seconds to get back into jailbroken state. Why does Pangu jailbreak asks for my Apple ID/password? This is because the new jailbreak technique used in this jailbreak first sideloads PP jailbreak app on the device, for which it needs to sign the said app so that it can be installed outside of the App Store on the device. For signing the app, it needs an active Apple ID. While Pangu says it doesnt store any of your Apple ID/password info, we still recommend creating a separate Apple ID for jailbreaking purposes. You can create a new Apple ID at appleid.apple.com. This is because the tool for some reason doesn’t accept Apple ID emails having special characters, such as “+” or “_”. Make sure the Apple ID you are using to jailbreak doesn’t have any of these special characters in it. Will the jailbreak stop working after 7 days? Using Pangu tool: If you used Pangu Windows tool to jailbreak your device, it should last for about a year. This is because when jailbreaking with this tool, it asks for your Apple ID for signing the app, and then sideloads it with your non-Apple Developer account ID. Technically this should only last seven days if you used non-Apple Developer account ID. The good thing though is that once you run the PP app and complete the jailbreak process, Pangu team replaces that PP app which is signed by your non-Developer account Apple ID with a new instance of the app with same name that has an enterprise signing certificate which should be good for about an year. Using Safari method: When you download the PP app using Safari method, the downloaded PP app is likely signed by a third-party using a paid Apple Developer account. This should last as long as that Apple Developer account remains active. Sideload PP app IPA yourself with dev account: If you sign the PP app with your own active Apple Developer account, and then sideload it using Xcode to your device, it should last as long as your Apple Developer account membership is active. You can find instructions on sideloading apps on iOS devices here. You can download PP app’s IPA file form here. It is important to note that you won’t lose the actual jailbreak itself, whether the signing certificate expires after seven days, a month, or even a year. Should this happen, the only thing you will lose is the PP app which you use to get your device back into jailbroken state after reboot. You can always get it back by connecting your device to computer and rejailbreaking it with Pangu tool. Once you do it, all of your Cydia, tweaks and everything should start working without you having to start everything form scratch. When will English-languge version of Pangu be made available? According to the Pangu Team, that should happen very soon. In the meantime, you can download the Chinese version of the tool from here: Download Pangu iOS 9.3.3 / 9.3.2 Jailbreak For Windows. Why does Cydia crash for me? As explained earlier, the latest Pangu jailbreak is of semi-untethered/tethered variety which requires you to put your device back into jailbroken state every time you restart the device. You can learn how to do this in our detailed post here: Re-Jailbreak Pangu / PP On iOS 9.3.3 After Reboot, Here’s How. Follow the fix here: Fix Re-Jailbreak With Pangu / PP App Not Working After Reboot, Here’s How. Stashing problem. Follow the instructions here on how to fix it: Fix “failed in buffer_write(fd) (8, ret=-1)” Cydia Error After iOS 9.3.3 Jailbreak, Here’s How. 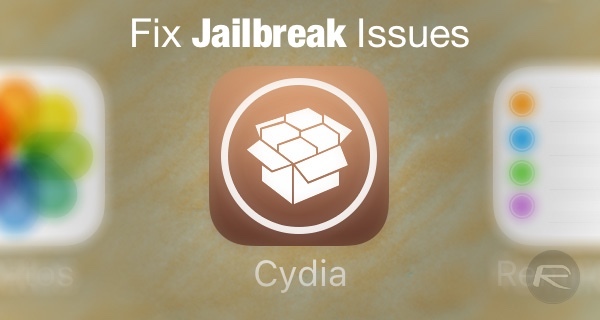 Update: Now that Cydia Substrate has been updated, simply install that to fix this problem. Why do I have two PP app icons after jailbreak? This is because you didn’t uncheck the option to install PP app store before jailbreak. Hence you now have two PP app icons, one for app store and the other is jailbreak app which you will need after every reboot. Fortunately, the PP app store app can be removed easily even after jailbreak. Follow the guide here on how to do so: Delete / Uninstall PP App Store After iOS 9.3.3 Jailbreak, Here’s How. What if I accidentally delete PP jailbreak app? No problem. You can get it back. Follow the instructions for it here: Reinstall PP App On iOS 9.3.3 If Deleted Or Removed Accidentally, Here’s How. Can i jailbreak using a Mac? As of right now, Pangu jailbreak is natively only available for Windows PCs. But there are some ways to get the jailbreak working on a Mac as well. We explain multiple methods for it in our dedicated post here: Jailbreak iOS 9.3.3 On Mac OS X With Pangu For Windows [How-To Tutorial]. Make sure file/folder sharing between the VM and the host is turned off, if not, turn it off and then reboot the VM. This should fix the issue. Can i jailbreak without using a computer? Update: Currently, this method is no longer working. You can find more on this here: iOS 9.3.3 “PPJailbreak Could Not Be Installed At This Time” Error When Jailbreaking Via Safari. Yes you can. But it’s important to note that this method is not officially supported by Pangu Team itself. The way the jailbreak works though, it can be used directly from a Safari web browser on an iOS device itself without having to involve any computer in between. We have tested and can confirm this method works. It basically involves installing a signed PP jailbreak app file directly on the device which then performs the jailbreak. You can follow our tutorial for this here: How To Jailbreak iOS 9.3.3 Using Safari [No Computer Required]. It is also important to note that the PP jailbreak app you download using this method is signed by a third-party, and if Apple revokes developer access of the said third-party, the PP app may stop working. It’s for this reason we recommend using the Windows jailbreak tool instead of this Safari-based jailbreak method. What tweaks can i install after the jailbreak? You can find full list of iOS 9.3.3 compatible jailbreak tweaks here: iOS 9.3.3 Compatible Jailbreak Tweaks For iPhone And iPad [List]. If FaceTime fails to activate or doesn’t work after the jailbreak, here’s what you need to do: Reboot your device, then follow the instructions here to put your device back into jailbroken state: Re-Jailbreak Pangu / PP On iOS 9.3.3 After Reboot, Here’s How. If done correctly, FaceTime should start working again. Follow the instructions here to fix: Fix Location Services / GPS Not Working Issue After iOS 9.3.3 Jailbreak, Here’s How. Fix here: Fix Pokemon Go App Crashing After Jailbreak On iOS 9.3.3, Here’s How. How do I un-jailbreak my device? You can find the instructions for it here: How To Remove / Uninstall iOS 9.3.3 Jailbreak From Your iPhone Or iPad The Right Way. This is a known issue. Pangu/PP teams are aware of it. They will release an update to fix this issue soon. Update: A fix for this is now available: Jailbreak iPad Pro, iPod touch 6 On iOS 9.3.3 With Updated Pangu / PP Tool [Download]. This is normal. Ignore it. Find My iPhone is disabled. You’re updated to iOS 9.3.3. You can get iOS 9.3.3 from here: Download iOS 9.3.3 IPSW For iPhone And iPad [Final Version]. Have latest version of iTunes installed. Exercise some patience and carefully go though the instructions again. You maybe missing something. Rebooting and trying again won’t hurt either. If we come across any other fix, we’ll update the post and add in it here. Make sure you keep checking this page for updated info. If you have any other question regarding the jailbreak, or have a fix for an issue not mentioned in this article, feel free to share it with us in the comments section below.